With little ones under the age of six and having lived in the Central Coast for 10+ years, I have a few favorite weekday and weekend ideas when it comes to keeping them busy. Here are some of my suggested outings that are not only fun but inexpensive. 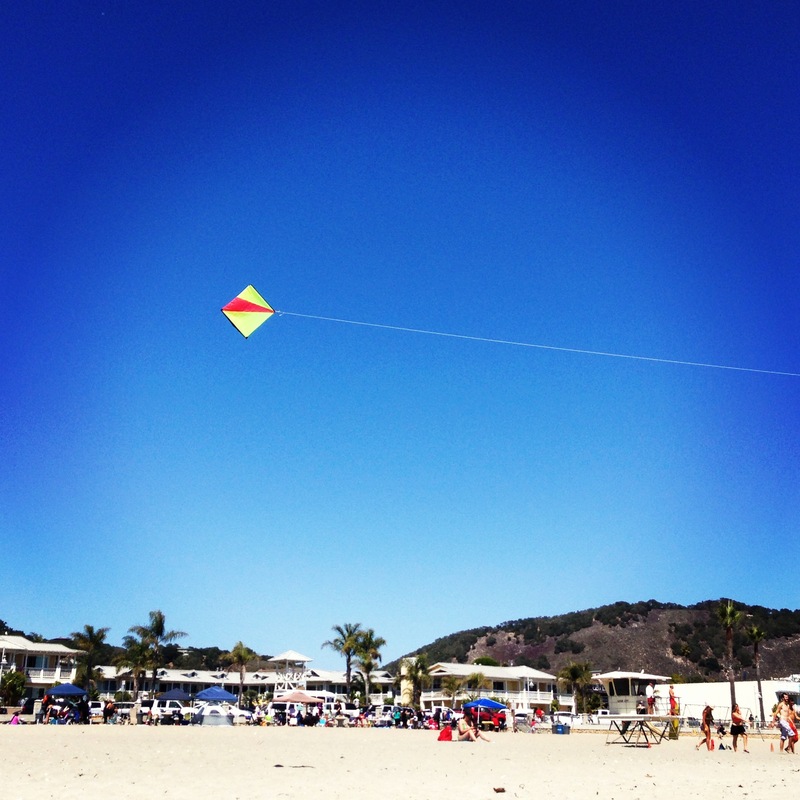 #1 – Beach Day at Avila Beach – While it still attracts quite a few tourists, it is far less impacted than Pismo Beach. It has a great playground right next to the beach and still a decent amount of vendors if you are looking to buy something to eat. Most people bring food and their barbecue grill, but whenever we go we usually pack something to snack on. Families with pets can also go to the dog friendly area that is less than a mile around the corner where they have bonfire pits that are first-come-first-served. Do – Bring snacks because there’s not much of a healthy selection from the food carts, unless you don’t mind hot dogs. Don’t – Forget the beach toys for the kiddos and of course the basic necessities (sunblock, umbrella, towels). 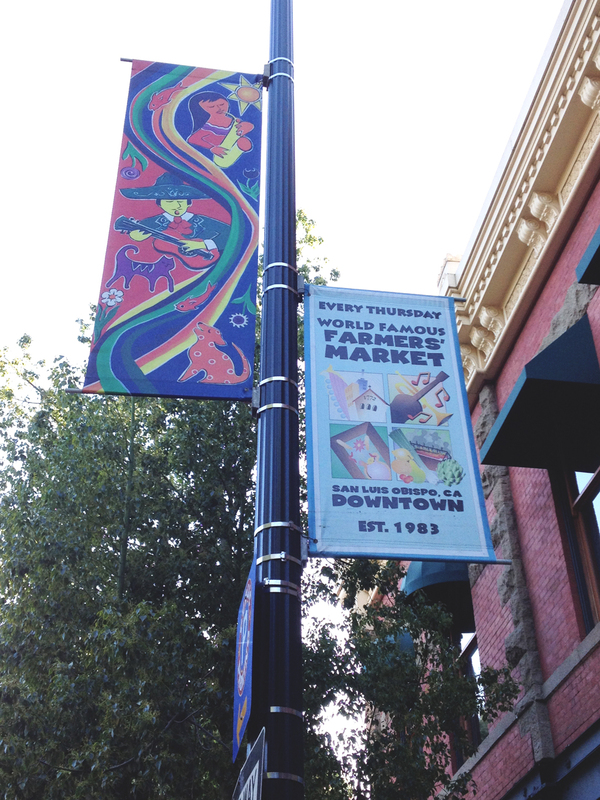 #2 – Farmer’s Market in Downtown San Luis Obispo – Always a favorite for children and really anyone visiting SLO, it is held every Thursday from 6 pm – 9 pm. My little ones grab a roasted corn which I usually just break in half and ask for an extra stick because they are big enough for toddlers to share. With face painting, a bounce house and sometimes downtown Bear making an appearance, it’s a MUST do for anyone visiting San Luis Obispo. Do – Bring cash as most vendors do not take cards. Bring a stroller (or baby carrier) as it can be crowded and it is nice to navigate them through the crowd as it can get crowded. Don’t – Bring your dog (or other pets) as they are not allowed. #3 – Children’s Museum – With three levels of fun and an outdoor area, this is a great place for toddlers and children to explore. Be sure to check out their website for the “Moonlight Hours” one Thursday of each month between 5 pm – 8 pm for FREE admission. The museum is not that large but there are quite a few interactive exhibits for parents and children to enjoy together. I recently read that they now have an edible garden which looks like a great taste testing and sensory activity. Do – Plan your trip in advance to take advantage of their monthly special events and moonlight hours. Don’t – Bring a stroller inside as you most likely will not use it and there is not much space for them. #4 – A Day at the Park – San Luis Obispo has many parks to visit, but some of our favorites would have to be Santa Rosa Park and Islay Park. Santa Rosa Park is great because it has plenty of open space, lots of parking and the playground is great for all ages. It is a huge plus that the bathrooms are not far away as anyone with children knows that can be problematic. I can let my three year old explore without worrying that the play structure is too high for him like some of the other parks. 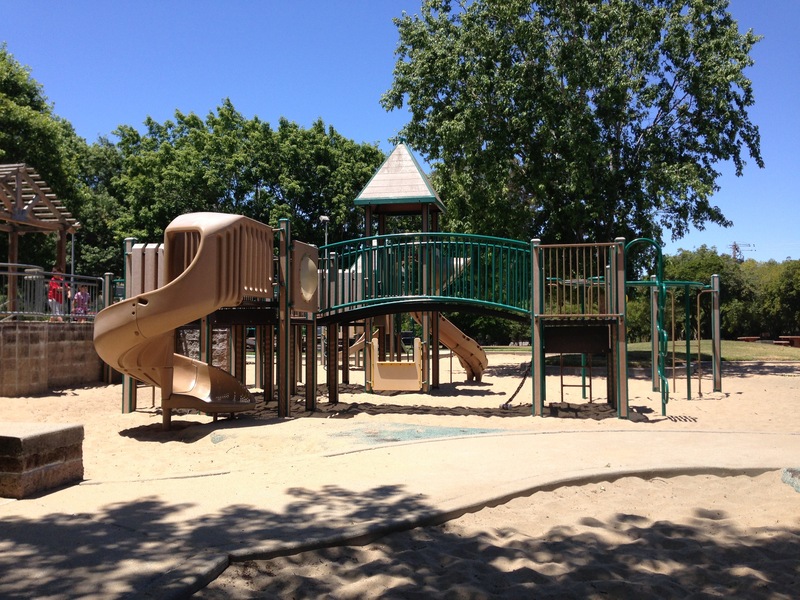 Islay Park is another one of our favorite parks to frequent. As a parent of adventurous boys, I prefer the parks with less height when it comes to the playground and the ones where everything is in close proximity (i.e. bathroom, parking, picnic tables). Do – Bring water for the little ones, as I usually steer clear of the fountains (in general and in life). Don’t – Forget to bring the sanitizer, of course, for when they are done having fun. #5 – FroYo For All – So, I don’t really say froyo, but according to my teen that is what it’s called nowadays. However, you say it, frozen yogurt is always a score amongst the little ones. Three different stores in downtown San Luis Obispo make it convenient to grab dessert and spend some quality time talking a stroll once you are done. Do – Visit TeaBerry for larger selection, but Yogurt Creations has a more open outdoor seating area. Don’t – Go on Thursdays during Farmer’sunless you don’t mind braving the crowds. 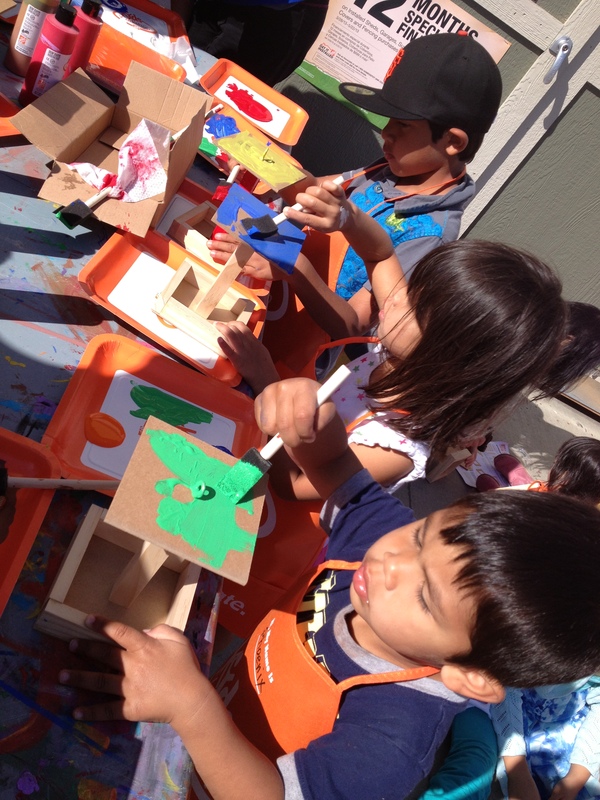 #6 – Home Depot Kids Workshops – On the 1st Saturday of each month, these workshops are designed for kids 5 – 10 years old. Children are able to create a variety of projects using their own two hands (with assistance from the parents of course). From 9 am – 12 pm, children receive an apron, pin and workshop kit for the monthly project. Since it’s first come first served, arrive early in order to be able to create the project of the month, otherwise once they run out they have old projects (still fun for the little ones). Do – Keep the apron in the car so you have it on the 1st Saturday of the month and because kids are proud of the pins they’ve collected. Don’t – Forget to follow the instructions provided. I have forgotten to use the wood glue once (or maybe twice) which resulted in projects collapsing. Yes, excitement takes over, but directions are for following (well at least from a female perspective). In closing, there are a number of kid friendly activities on the Central Coast and these were just a sliver of the fun and exciting things were are to do. Now that you have a glimpse of my typical week/month (not in that order of course), I hope you will go out and have your own adventures of your own.